The House of the Seasons is proud to announce it has loaned several pieces of furniture to the Bullock History Museum in Austin, TX through 2018. The furniture, which will be part of the museum’s exhibit on Texas plantation furniture, comes from the Wyalucing plantation home in Marshall, Texas. 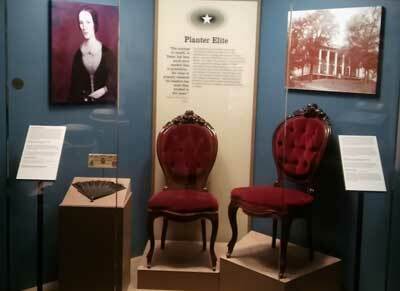 The House of the Seasons acquired the furniture from the Dorothy Morris estate. Morris had previously acquired the furniture from the heirs of Anna and Elkanah Greer in 1970. Elkanah Greer was a general in the Confederate States Army. 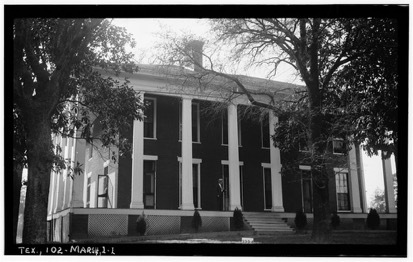 Built in 1849 for Beverly L. Holcombe, the Wyalucing plantation house was a two-story brick home designed to resemble a Grecian temple, with columns on all four sides. During the civil war, the house became the headquarters for the Trans-Mississippi Agency of the Confederate Post Office Department. In May 1865 it was also where General Kirby Smith met with Senior Confederate Officers to discuss options after the surrender of Lee’s army at Appomattox. 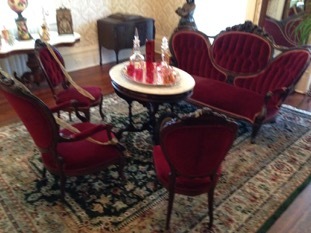 The general and the officers would have used this furniture during the meeting. In addition to being an important Civil War location, the Wyalucing house was the marriage site of several of Beverly L Holcombe’s daughters. Most prominent among these marriage was that of Lucy Holcombe to Francis Pickens. Immediately following their marriage in 1858, Lucy and Francis Pickens moved to St. Petersburg, Russia where Francis Pickens became the American Ambassador. 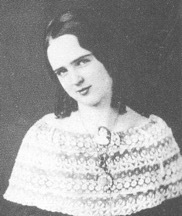 Renowned as the most beautiful woman in the South, Lucy quickly became a favorite of the Czar Alexander II and Czarina Maria Alexandrovna. When Lucy’s daughter Doushka – a name meaning “little darling” – was born, the Czar and Czarina became her godparents. The Pickens family returned to America in 1860, whereupon Francis was elected as Governor of South Carolina. In this role, Pickens led the state into secession from the United States. Lucy played an important role too. It is not only rumored that she lit the cannon that fired the first shot at Fort Sumpter, but it was her face printed on the confederate $100 bill. 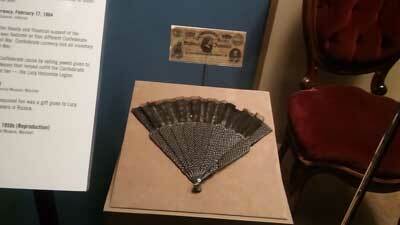 One of these bills will also be on display at the Bullock History Museum.